If you’re someone who owns and invests in Muni Bonds, you need to read this report! 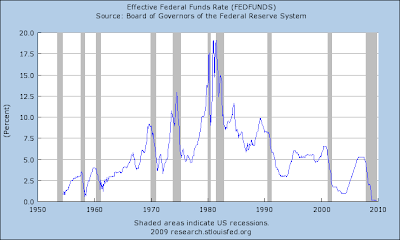 I’ve been saying for quite some time that bond investors have enjoyed the best of times as rates have moved from historic highs back in 1980 until now, but now that interest rates have reached zero it is time to reevaluate your thinking in terms of these bonds, especially with government spending ramping at the same time that tax revenues are crashing. Remember, Munis have a historically low default rate, but then again, municipalities have NEVER been as saturated with debt as they are now. It is the power of taxation that municipalities possess, but as that power now appears limited, just exactly how do those debt payments get made? That’s a question that Mr. Sheehan, answers in his terrific and insightful report, “Dark Vision – The Coming Collapse of the Muni Bond Market.” He is the former director of asset allocation services at John Hancock Financial Services, and the author of an exceedingly well-researched and insightful book just-released by McGraw Hill, "Panderer To Power, The Untold Story Of How Alan Greenspan enriched Wall Street And Left A Legacy Of Recession." Fred also co-authored "Greenspan's Bubbles." Now, before you dive into this report, keep in mind the bond market updates I’ve been giving over the past year or so… as equities appear set to begin the next leg down, there could come with it a great opportunity to unload Munis for those who are stuffed with them. So, remember that rising rates are not good for bond prices and that you need to buy bonds when rates are high and about to move lower… you need to sell when rates are low and about to move higher. While I think that rates will stay relatively low for some time to come, the risk is that defaults begin to occur and that drives rates higher.